A beautiful and contemporary design, a 0.25ct Diamond is nestled in a bezel setting of this 18ct White Gold Engagement Ring. 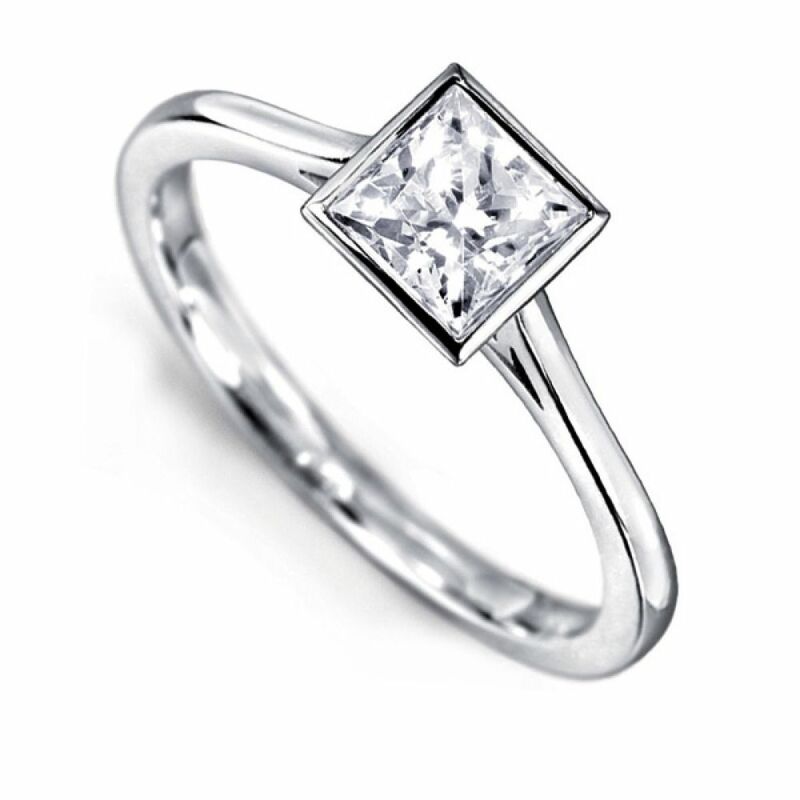 The Bezel setting follows the outer edge of the princess cut diamond, which defines the square shape in a complimentary fashion. The setting itself is fluted and joins each open shoulder with elegant detailing in a 2mm wide, delicate Court Profile band. The Diamond is a J Colour with a SI2 Clarity, and the ring is a finger size L. This particular ring is a one-time offer, and this is the only one that will be at this exceptional price. Available for immediate dispatch, your ring can be with you with Next Day Delivery (Within the UK), and with you in just a few days if you live internationally. It will arrive via a secure courier, and in our bespoke Serendipity Diamonds packaging.